Cat carriers are a must for the cat owner. They are a means of safely transporting your cat (for example to the vet or a boarding cattery), by keeping it secure. A cat should always be placed in a cat carrier while transporting it, especially in a car. An unrestrained cat in a vehicle is a danger not only to himself but the driver and other road users and pedestrians. Cardboard carriers can be used as an emergency, but they really aren’t very strong and can easily break. They may be okay to use when transporting a kitten but should be avoided unless absolutely necessary with older/heavier cats. As cats can often be stressed when being transported, they may also urinate or defecate, which would weaken or destroy the cardboard. Hard carriers have the advantage of being easy to wash if there is an accident. But they can be bulky. 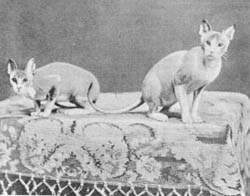 Soft carriers take up less storage room, so may be of benefit in households where there are several cats, however, they are harder to clean. What should I look for in a cat carrier? Large enough to comfortably accommodate your cat. Airline compliant (if you will be using it to transport a cat). Strong/well put together. You certainly don’t want one that is going to fall apart when you are transporting a cat. Definitely, opt for quality over price when selecting a cat carrier. Food/water storage. This is especially important if your cat will be spending an extended amount of time in the carrier. Ventilation. A well-ventilated cat carrier is a must. If you plan to carry more than one cat in a carrier, a larger one will be necessary. There should be enough space for your cat(s) to stand up and turn around. How many cat carriers do I need? As a rule of thumb, you should have one cat carrier per cat. If you have cats who get on especially well, you can transport more than one together if it is a short trip. It is important you accustom your cat(s) to their carrier before an emergency occurs. 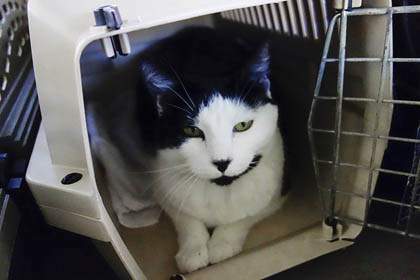 If your cat isn’t used to the carrier and you have an emergency, you may find it difficult to get the cat in the carrier, possibly causing a delay. It will also cause additional stress to your cat. Place the carrier in the home when your cat is calm. Put a soft blanket (one that is washable) or towel in the bottom for comfort and add some treats or toys to the carrier. Let your cat sniff out and explore the carrier in his own time. If he does enter the carrier, leave the door open for the time being and just allow your cat to come and go at will. When the time comes to transport your cat, do the following. 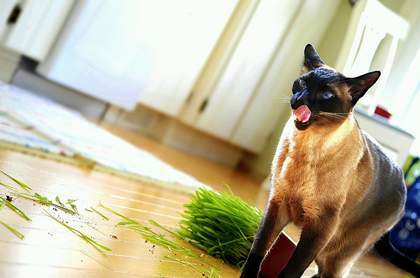 Avoid feeding for an hour before if your cat suffers from motion sickness. 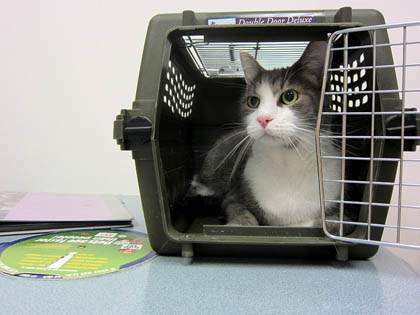 If you have difficulty getting your cat into the carrier, place it so that the open end is facing the ceiling and then lower the cat in, tail first. If the cat is especially tricky, you may try wrapping it in a towel (head exposed), prior to placing it in the carrier. Place your cat’s carrier on the rear seat and put the seatbelt through the handle of the carrier to secure. Cat carriers should be stored in an easy to reach place so that they can be quickly grabbed in an emergency. Even better, if space permits, keep your carrier out in the open so your cat can come and go as she pleases. That way, the carrier isn’t just associated with stressful trips to the veterinarian.